A stay at Phoenix Copenhagen places you in the heart of Copenhagen, walking distance from Frederik's Church and Alexander Nevsky Church. 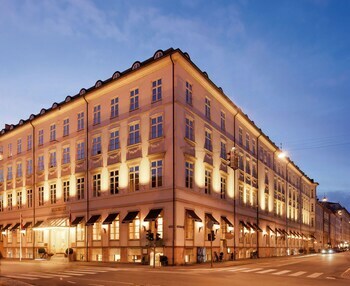 This 4-star hotel is close to Stroeget and Tivoli Gardens. Make yourself at home in one of the 213 guestrooms featuring minibars. Complimentary wireless Internet access keeps you connected, and satellite programming is available for your entertainment. Private bathrooms with showers feature complimentary toiletries and hair dryers. Conveniences include safes and desks, and housekeeping is provided daily. Don't miss out on the many recreational opportunities, including a waterslide, a fitness center, and bicycles to rent. Additional amenities at this hotel include complimentary wireless Internet access, concierge services, and babysitting/childcare (surcharge). Featured amenities include a business center, express check-out, and complimentary newspapers in the lobby. 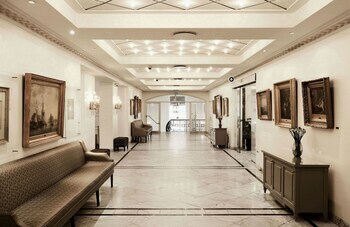 Event facilities at this hotel consist of a conference center and meeting rooms. 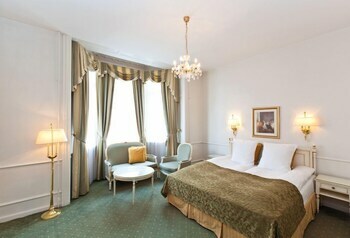 Phoenix Copenhagen is an ideal Copenhagen lodging choice for your trip to Denmark. With numerous amenities for guests such as 24 hour front desk, concierge, parking - valet, you will wake up at Phoenix Copenhagen feeling invigorated every day for your time in Copenhagen. Don’t let this amazing reservation opportunity pass you by, book your stay at Phoenix Copenhagen today to make the most of your time in Copenhagen, Denmark.